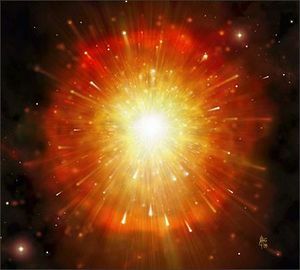 Universes begin with a "big bang". In the beginning, there were no universes. Only singularities ready to become universes. Then, a singularity exploded to make the first universe. Then, a bunch of more singularities exploded and eventually our universe was made. This page was last edited on 20 March 2017, at 15:43.